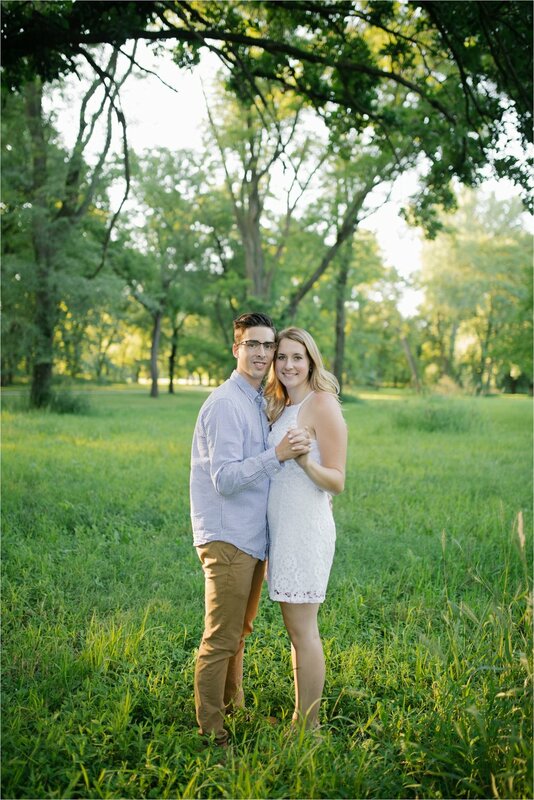 Elizabeth and Justin's engagement shoot was a BLAST! I can't wait for their wedding next year! 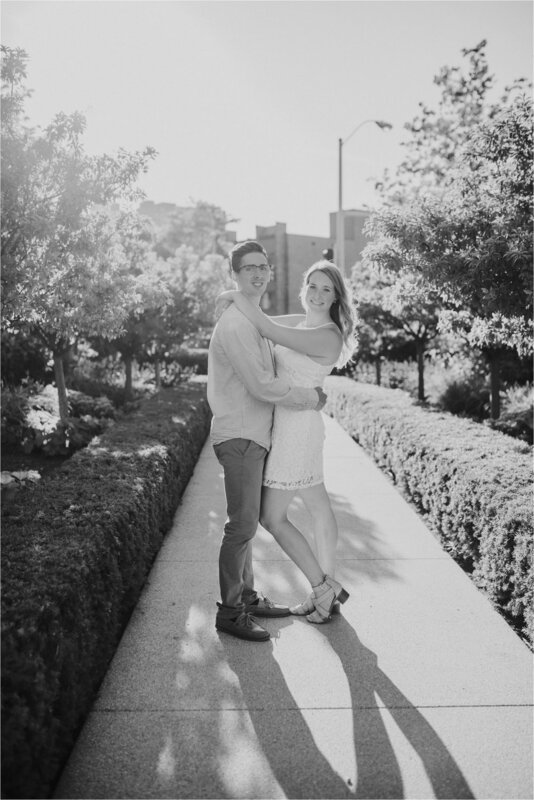 I love doing engagement portraits. It's a great way for me to connect with my wedding clients and a great way to get a feel for how their wedding portraits will be. We went out to Water Works Park in Des Moines and the World Food Prize building downtown. The World Food Prize building is where they got engaged! So we had to get a few shots there. They brought their fur baby with them to get some save the date photos done. How cute is he?! I love it when clients bring their pets along. It makes for an interesting time to get them to look at the camera! Congratulations Justin and Elizabeth! 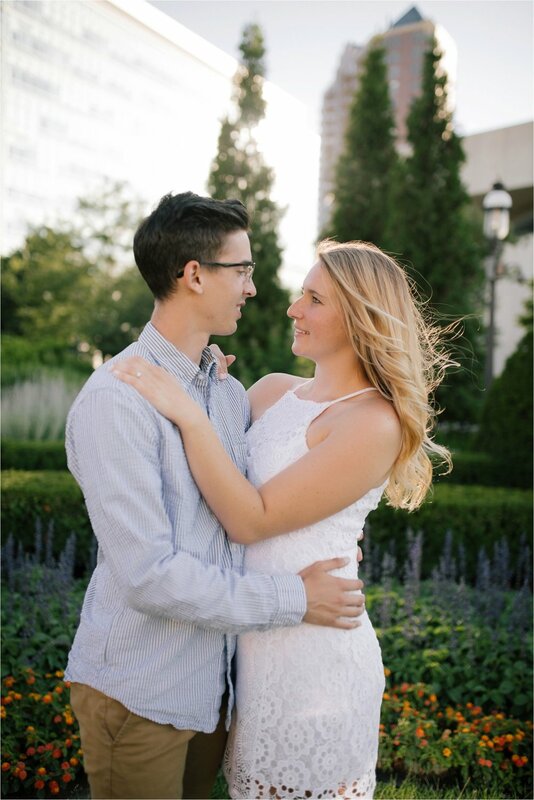 I can't wait to photograph your big day next year! To find out more about portraits and weddings check out my gallery pages.